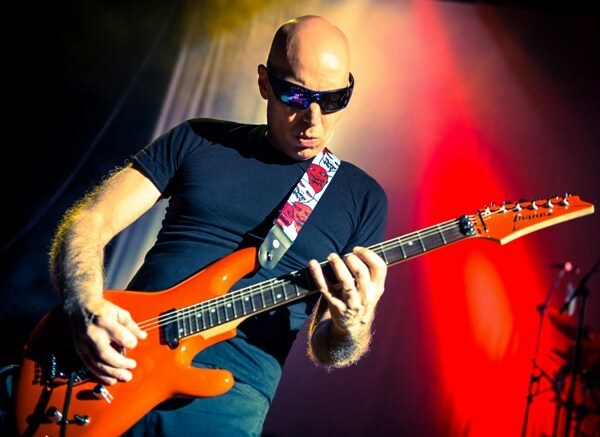 Musical virtuoso Joe Satriani is reviving his G3 guitar extravaganza for a European tour that concludes at Birmingham Symphony Hall on April 30, 2018. 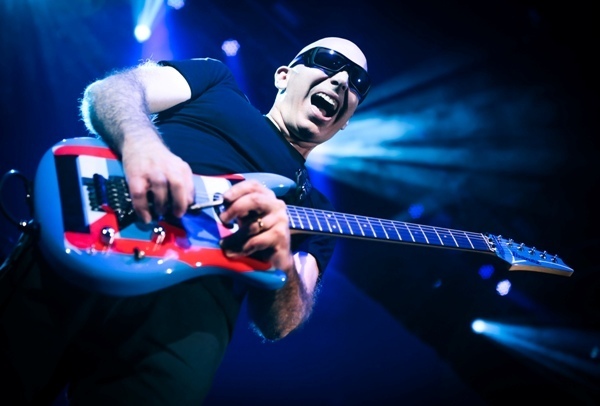 Since its debut in 1996, the G3 tour has featured the world's greatest guitarists playing alongside Joe, including Steve Vai, Eric Johnson, Steve Lukather and Robert Fripp. 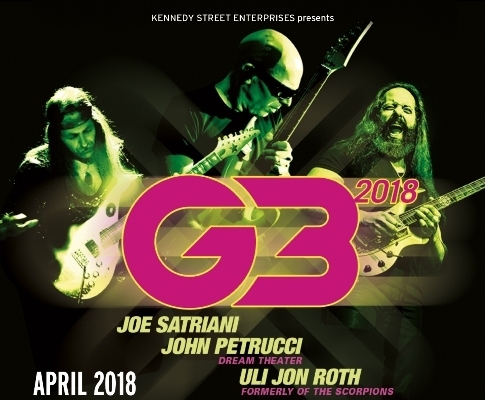 The 2018 dates will see Dream Theater's John Petrucci and former Scorpions guitarist Uli Jon Roth joining Joe on stage. Each will perform a solo set, followed by a massive jam at the end of the show. "I could say that I'm surprised at the durability of G3 and how much it's grown, but in a way I'm not," Joe says. "I think part of its charm and its mojo is in the chemistry of having three top guitarists share what they do on stage. It's fun, it's unpredictable, it's wild – it's everything you could want in a show." 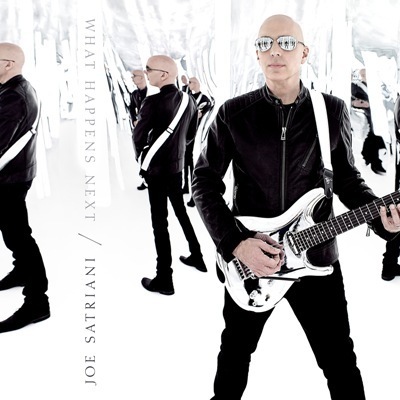 Joe releases his 16th solo album, What Happens Next, on January 12, 2018. The record features a legendary power trio – Joe on guitar, former Deep Purple star Glenn Hughes on bass and Chad Smith from Red Hot Chili Peppers on drums. It is co-produced by Mike Fraser who is well-known for recording and mixing every AC/DC album since 1990's The Razors Edge, along with his classic works with Satriani going back to the release of Crystal Planet in 1998. A new documentary film, Beyond the Supernova, shot by Joe's filmmaker son, ZZ, made its debut at the Mill Valley Film Festival, in California, in October. The film chronicles Joe, along with his band and crew, on their last Shockwave Supernova tour through Europe and Asia. Joe's records have sold more than 10 million copies worldwide and he's received 15 Grammy nominations. The debut album by his side project, Chickenfoot, featuring former Van Halen frontman Sammy Hagar, bassist Michael Anthony and Red Hot Chili Peppers' Chad Smith, was certified gold. 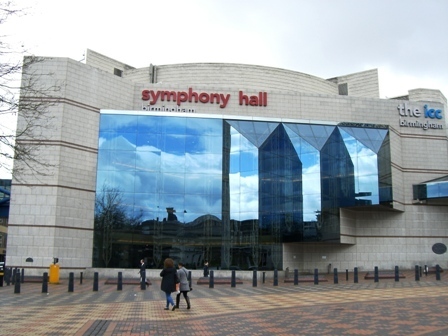 April 30: Symphony Hall, Birmingham.